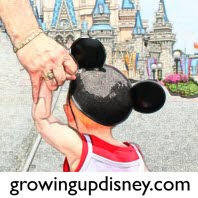 Growing Up Disney: Walk Around The World With Ridge--F&W it's almost here! Walk Around The World With Ridge--F&W it's almost here! Are you looking forward to the 15th Annual Epcot International Food and Wine Festival? I know I am. As a veteran of six EIF&WF trips and an amateur foodie, I know this is a fantastic opportunity to try many new things, all possible because of Disney. The tapas sized portions of food available at the festival are just right. Sometimes you will wish they are larger but remember there are lots of things to try. As I have said in a previous post, one thing that is a must-have is the fisherman's pie at the Ireland booth. It really is one of the most flavorful items I have ever tried. In fact when I went last year with my cousin, he and I each ate a fisherman’s pie and then looked at each other and got in line to buy another. The makeup of a fisherman's pie is scallops, shrimp and lobster in a creamy red stew that is topped with mashed potatoes not unlike a shepherd's pie. Another favorite is the Kerrygold cheese selection. Unique to Ireland is the Bunratty Meade which is a honey wine and something you just don't see every day. With Ireland out of the way, a little info that I am sure has and will be covered, mentioned, alluded to, and possibly driven in to the ground, is there will be 27 individual booths representing countries and cuisines from around the world. However I do have a personal disappointment to report. There will be no seminar or tasting by Sam Adams this year. They are still bringing in nine selections including the 15th anniversary brew only available at the festival. *sigh* Can’t stay the same forever I guess. One of the greatest aspects of the food & wine festival is the fact that it gives adventurous eaters access to foods that might not normally be available to them, at least not without some difficulty. One example: ceviche. Ceviche is a seafood dish prepared without heat. The seafood used is usually some combination of shrimp, scallops, and fish. Then added are some fresh seasonal vegetables and everything is left to marinate. The citrus juice used chemically cooks the seafood. I can't even begin to describe how good it actually is. Another item I wouldn't have normally tried is Escargots Persillade en Brioche. Butter and garlic roasted escargot served up on a piece of French bread. MMMM. Yeah, these are good too. While the food is great, don’t forget there are also some great wine and beer pairings for the menu items. Or you can always just enjoy a new beverage by itself. Sam Adams is bringing the 15th Anniversary Festival Beer Coastal Wheat Light, which is only sold in EPCOT during the festival. They also have Boston Lager, Octoberfest, Cherry Wheat (my favorite with a crab cake,) Cream Stout, Blackberry Witbier and Latitude 48 IPA. In other countries the wine selections take center stage. The Ice Wines of Canada and Rieslings of Germany are perfect dessert wines. Japan has warm and cold sake and new this year is Korea bringing Soju. Needless to say there is a plethora of gastronomic goodies out there this year. What are you looking forward to most-- an old favorite or a new taste sensation? Let us know. I'm going to have to try the fisherman's pie! Although since I am traveling with Ridge, there's no concern about missing it.